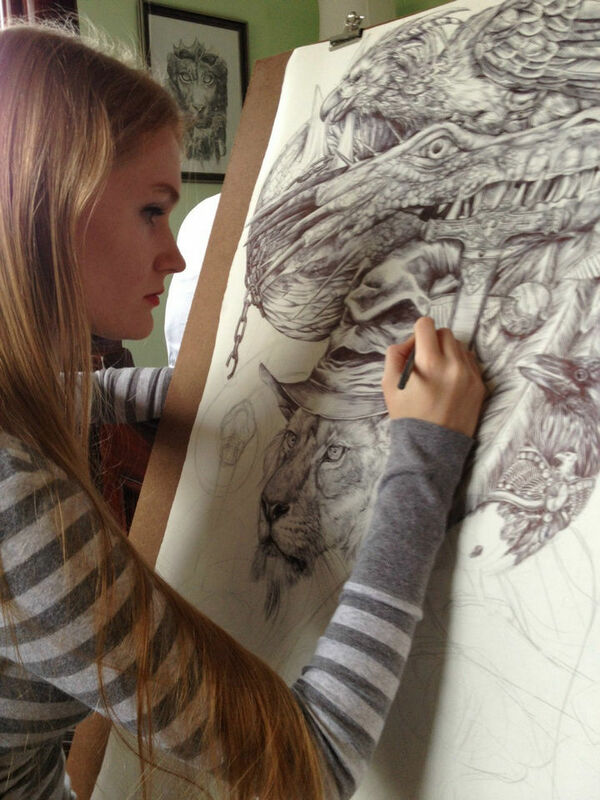 A talented 19-year-old artist, Savannah Burgess, creates incredible prints but what makes some of them even more incredible is that she uses only a ballpoint pen to create unbelievable works of art. 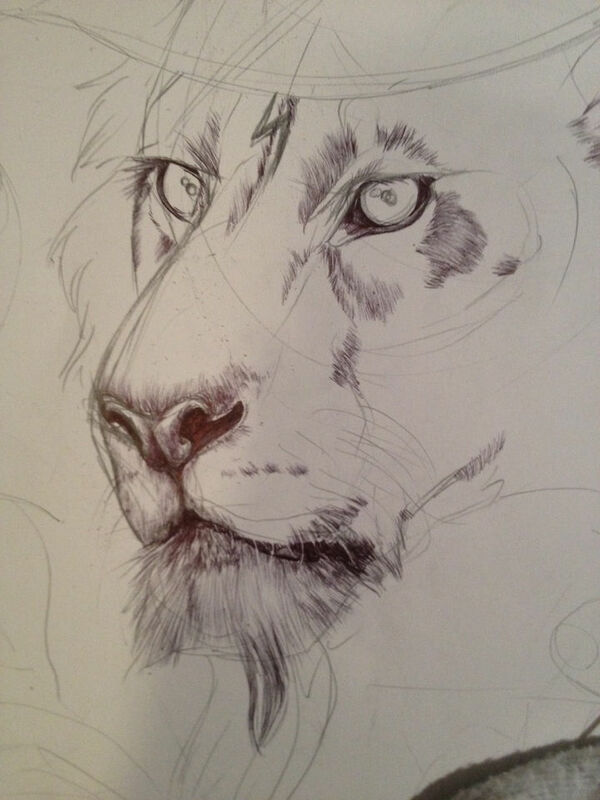 She begins with a rough sketch and painstakingly draws in the details to create elaborate and beautiful prints. 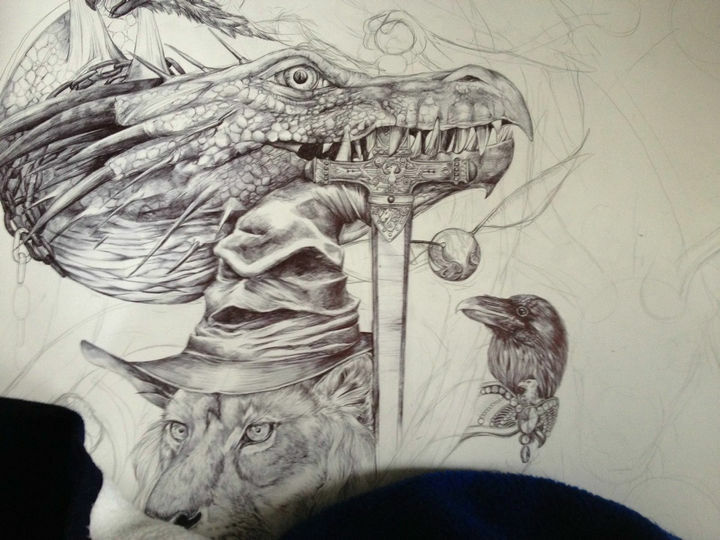 For this project, she decided to grab elements from the Harry Potter universe and create a print appropriately named ‘Potter’. She took pictures highlighting each step of the process and the finished product is truly amazing! 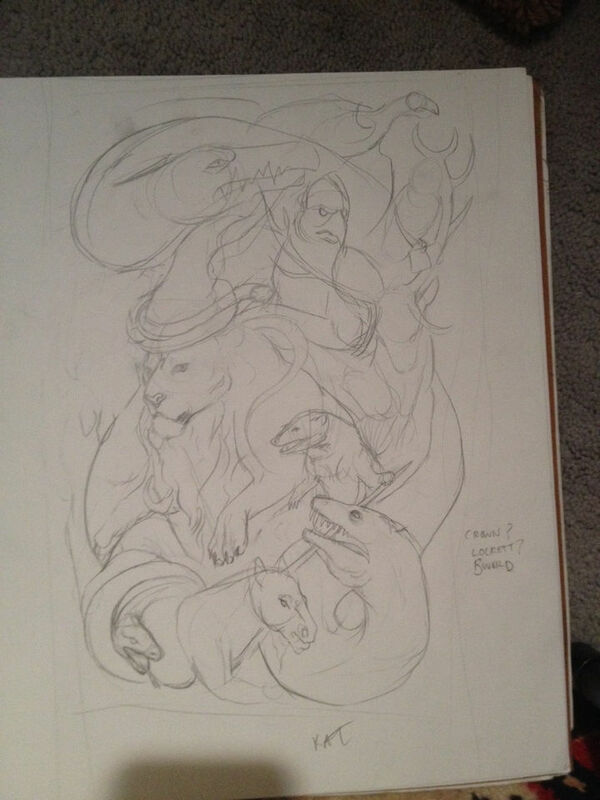 First, artist Savannah Burgess starts off with a rough sketch to plan out the design. On the first day, a quick pencil sketch for the characters in the drawing. 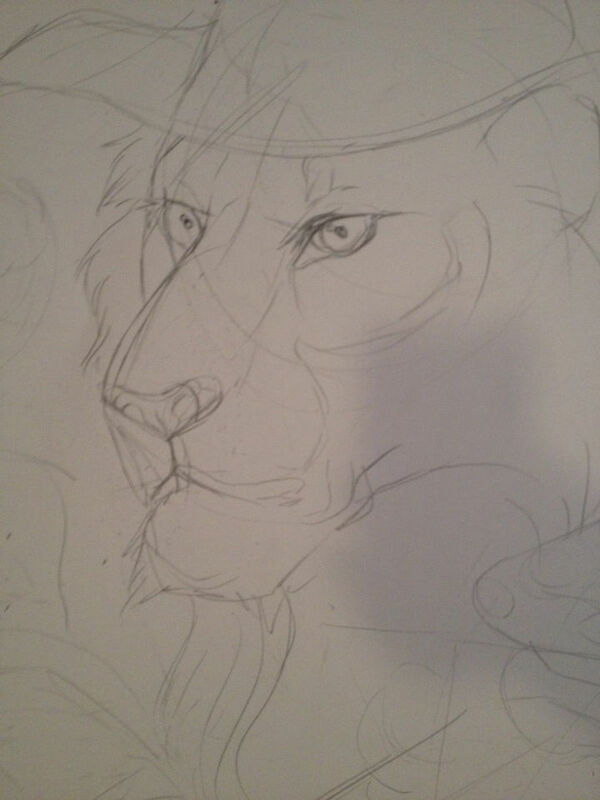 After the initial sketch of each character, she fills in the details for the lion. 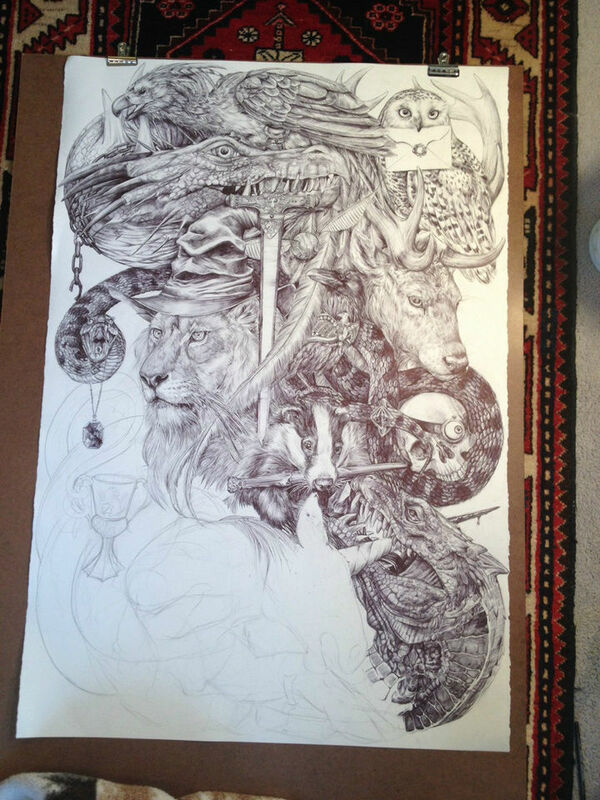 At the end of the second day, she completed the lion and added detailed textures such as its fur. 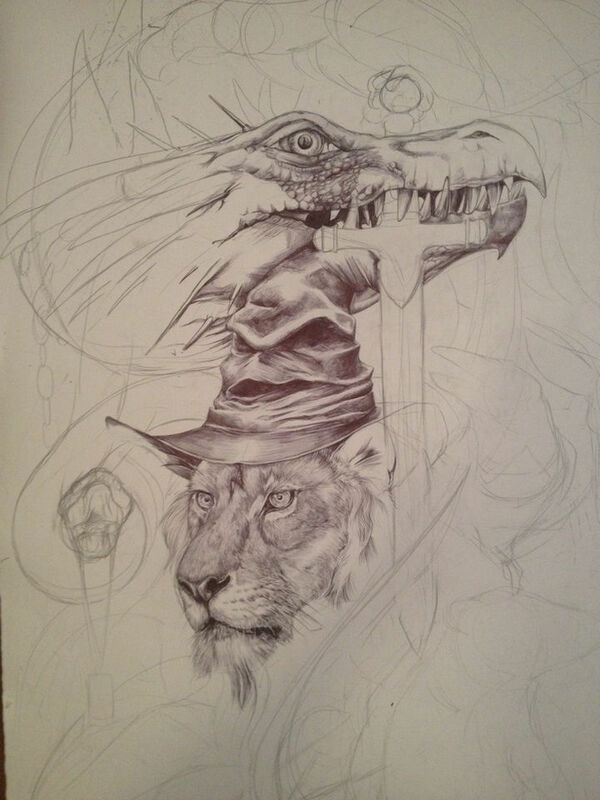 On day 3, she completed the sorting hat and began drawing in the dragon. 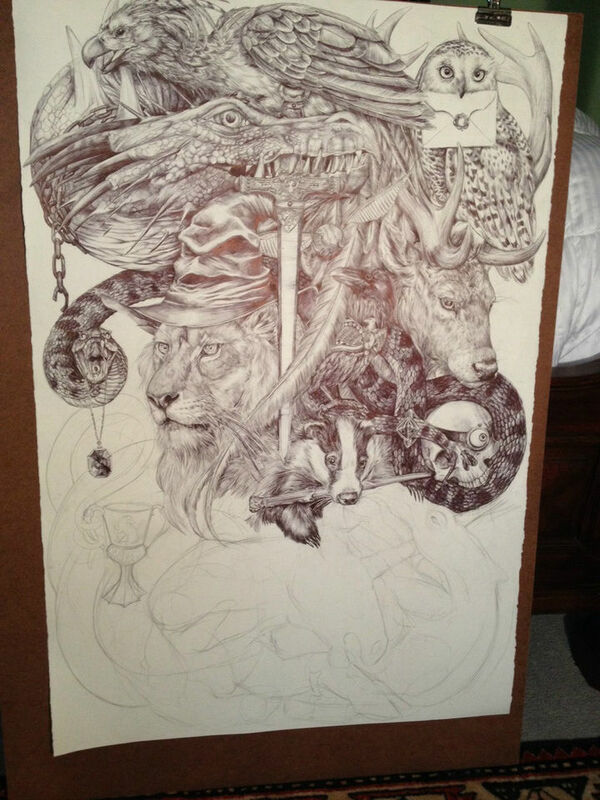 On day 4, the dragon’s head is fairly complete and work begins on the sword of Gryffindor and a raven. 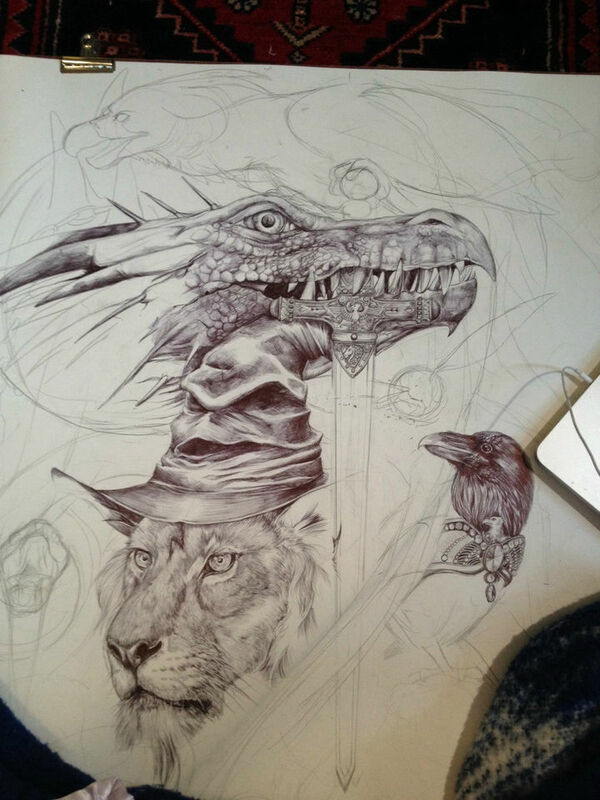 On day 5, she begins working on the dragon’s body and minor touches to the raven. 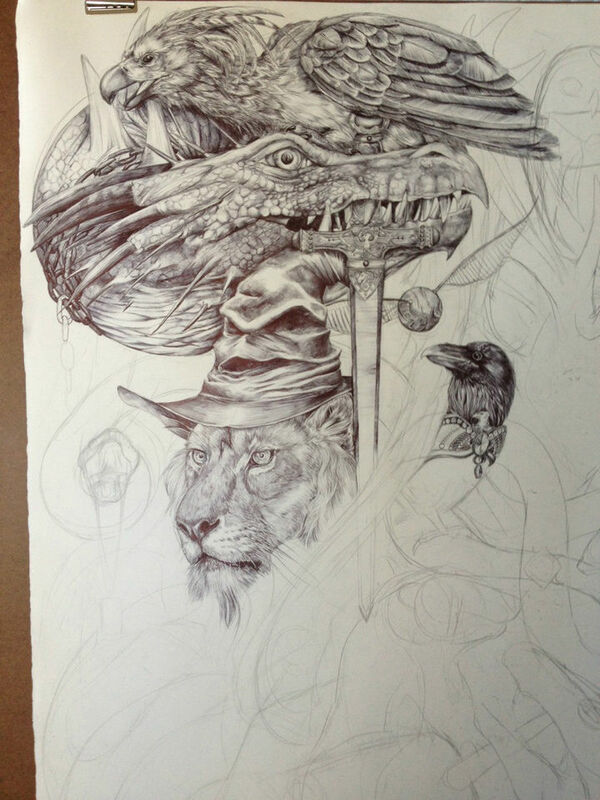 By day 6, Fawkes the Phoenix was sketched and detailed and is now completed. 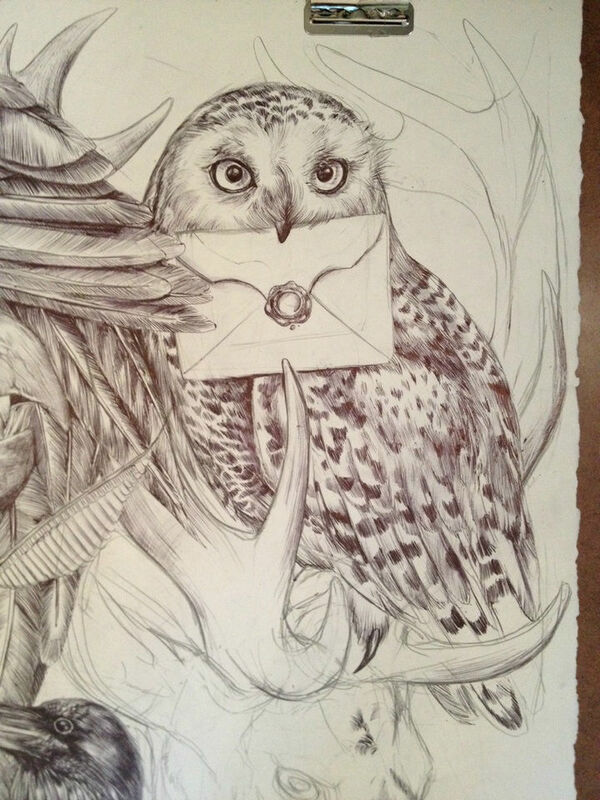 Day 7 was dedicated to adding Hedwig. 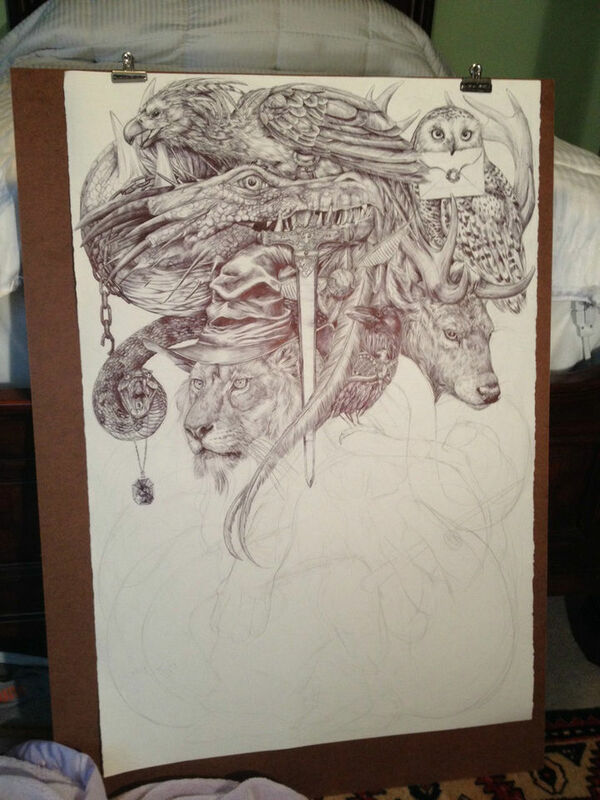 On day 8, Savannah is halfway done and adding details to the upper portion of the piece. She’s halfway done and it’s looking great already! 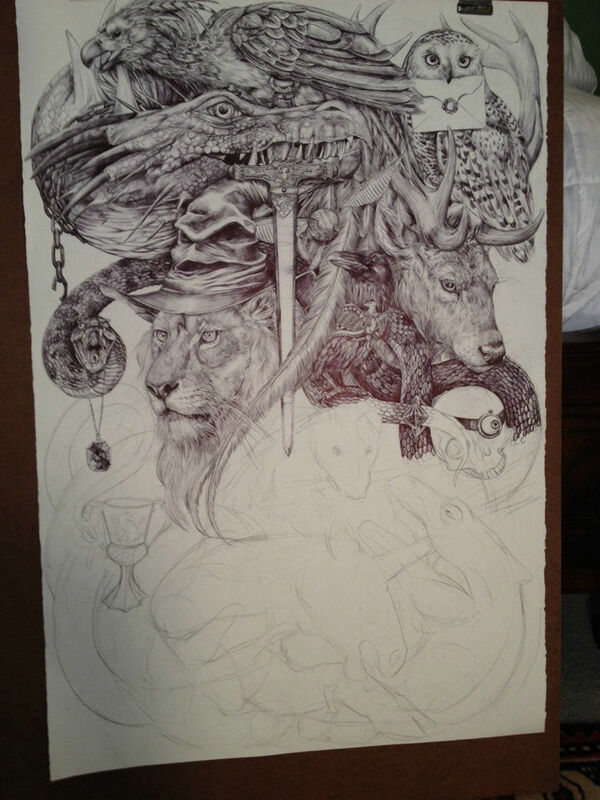 On day 9, she completes the adder but may dedicate more time to it since drawing scales is time-consuming. On day 10, adding more scales to the adder and adding Horcruxes and Houses. Day 11, the adder is done and so is the Horcruxes and Houses. 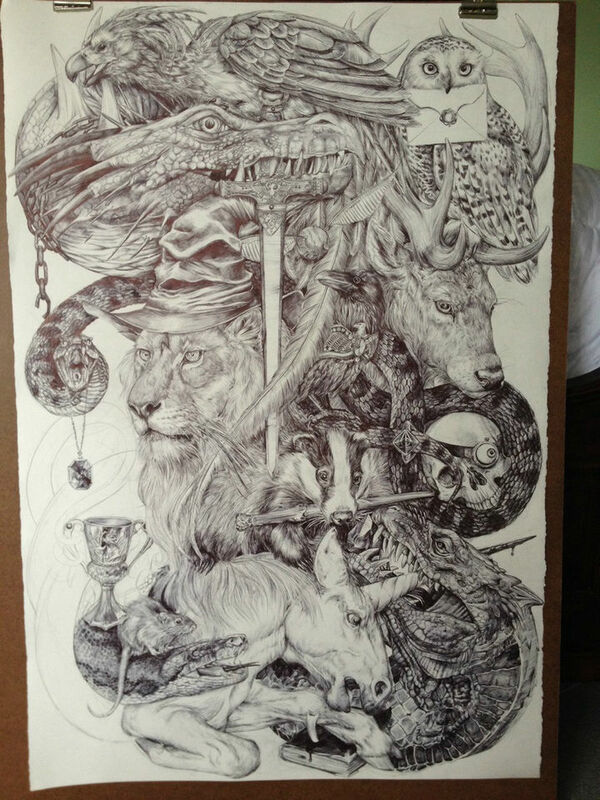 For day 12, she added and completed Basilisk in the lower-right corner. 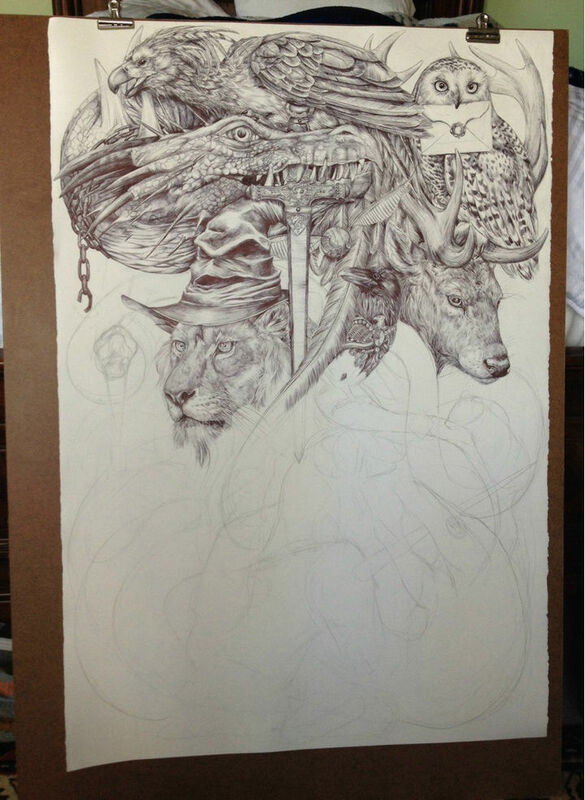 On day 13, the unicorn is drawn with texture details to be added the next day. 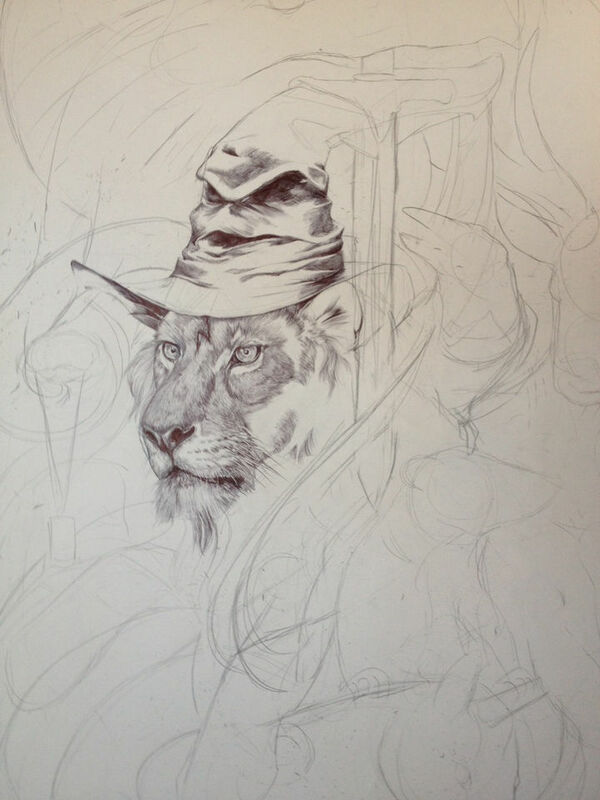 On day 14, the unicorn looks great and work begins on Scabbers and Nagini. On day 15, she polishes all the details and everything looks awesome!! 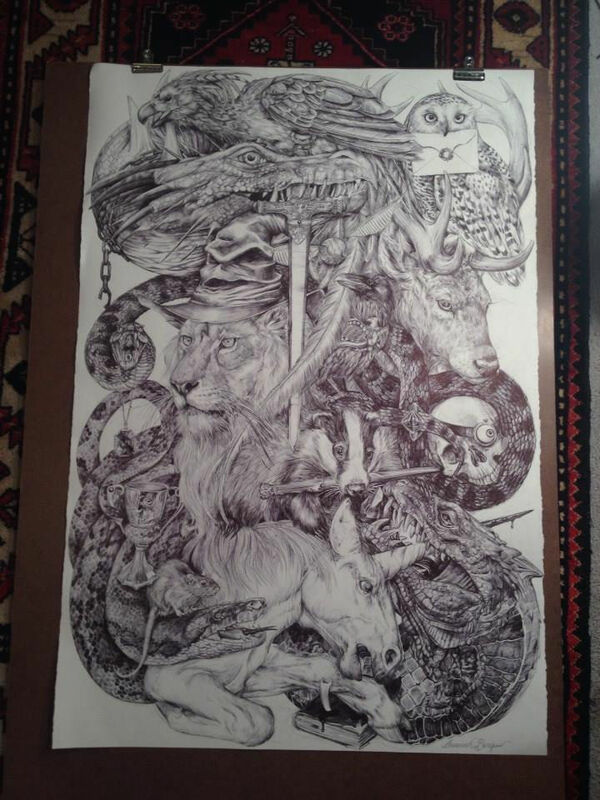 On the final day, she has a beautiful print that is incredibly detailed and a must for any Harry Potter fan. 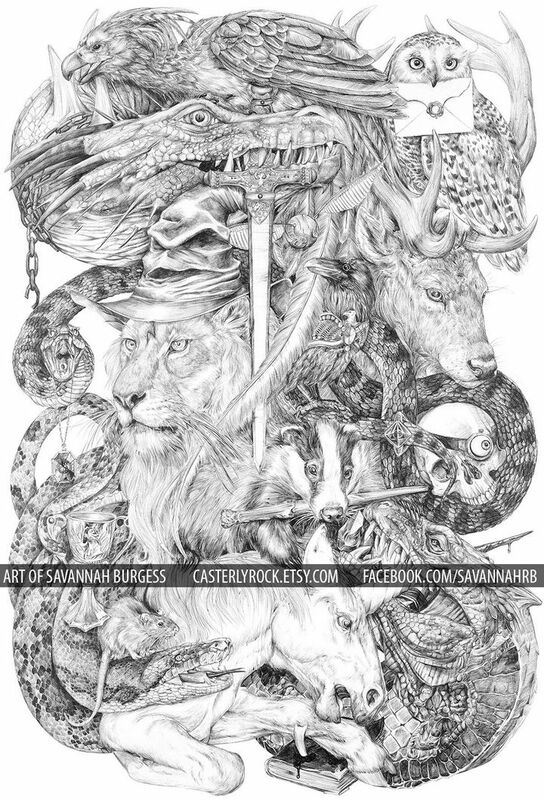 As you can see, Savannah Burgess put a ton of work into this drawing but in the end, it was worth it because it looks spectacular! 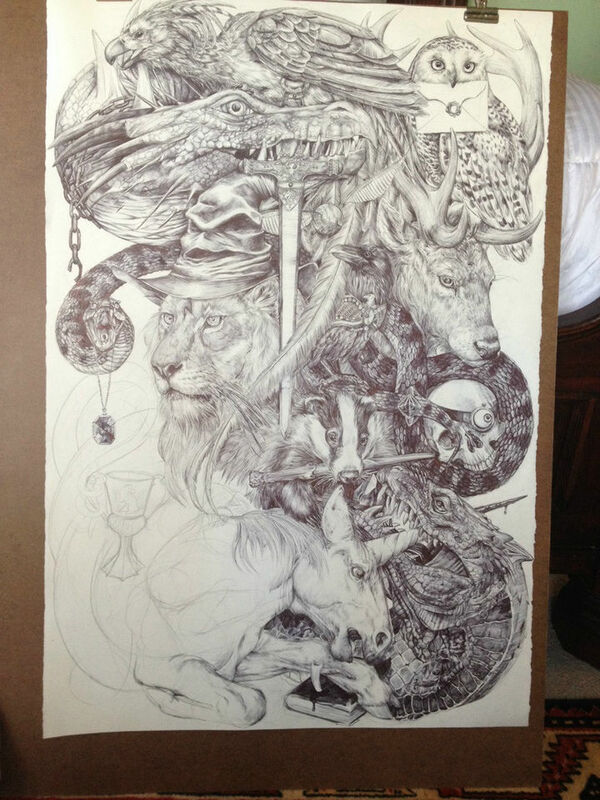 If you enjoy art, don’t miss these amazing sand drawings by Andre Amador. If you’d like to order a copy of ‘Potter’ or view other prints available, visit Savannah’s Etsy Shop or Facebook page. 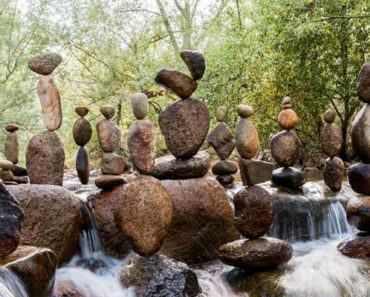 One Guy Magically Balances Rocks and You Won’t Believe How He Does It! 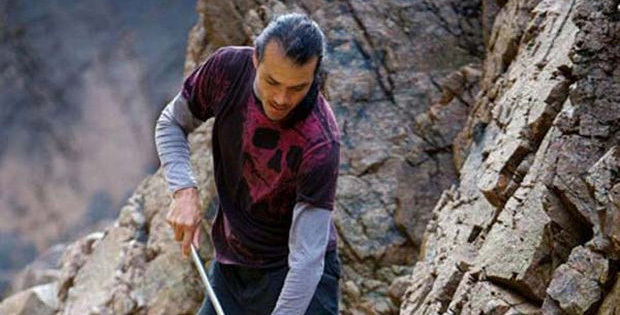 Artist Brings a Rake to the Beach. 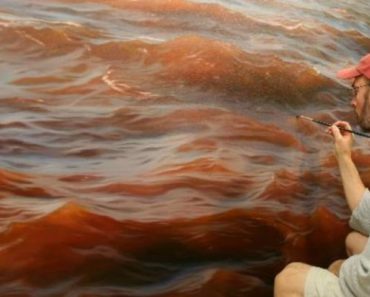 What He Creates With It Is Beyond Amazing.